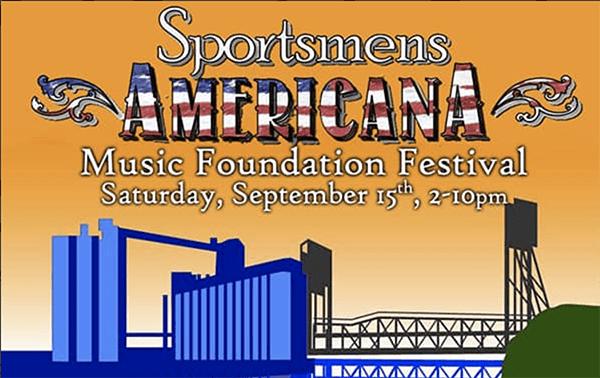 Earlier this month, the not-for-profit organization, Sportsmen’s Americana Music Foundation, announced the date of its annual fundraiser and musical lineup. More sponsors have been added and through the generous support of BlueCross and BlueShield, SAMF’s lead sponsor, kid friendly are featured on the roster of things to do while outdoors in the scenic and music filled River Fest Park. Last year, the popular fundraiser attracted over 1,000 festival-goers. 3-5 pm the “BlueCross Blue Shield Healthy Zone Cruiser” will provide kids with games to play outdoors. Activities and games: corn hole, KanJam, hula hoops, fitness dice, chalk art, jump rope, footballs, soccer balls and yoga balls. Free admission for children under the age of 12.
WHO: All proceeds from the festival directly support the enhancement and advancement of our homegrown musical community through the Sportsmen’s Americana Music Foundation.